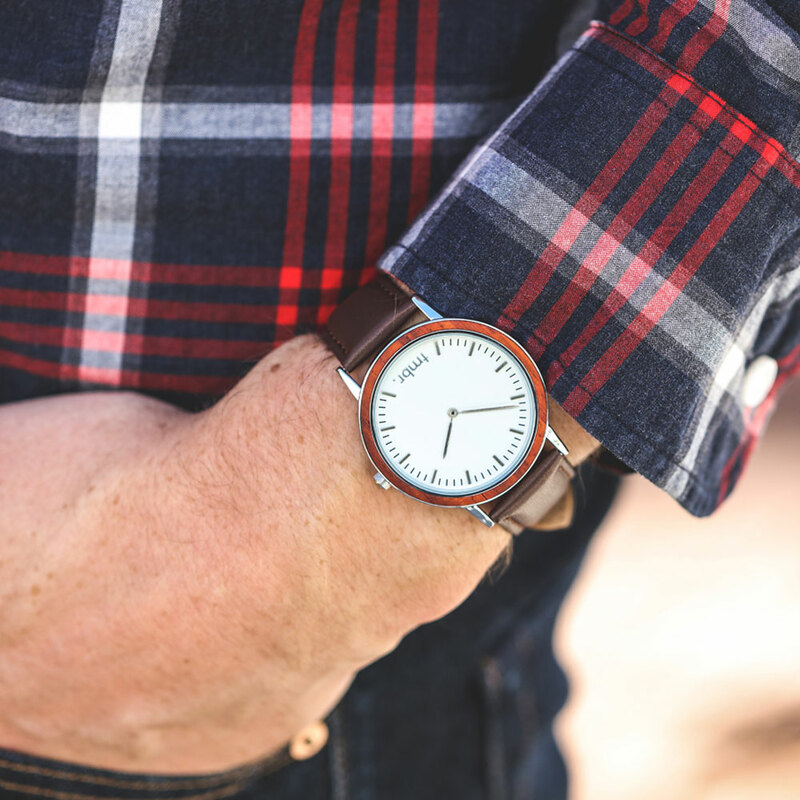 The Spruce - Rosewood & Matte Black Wood Watch | Tmbr. 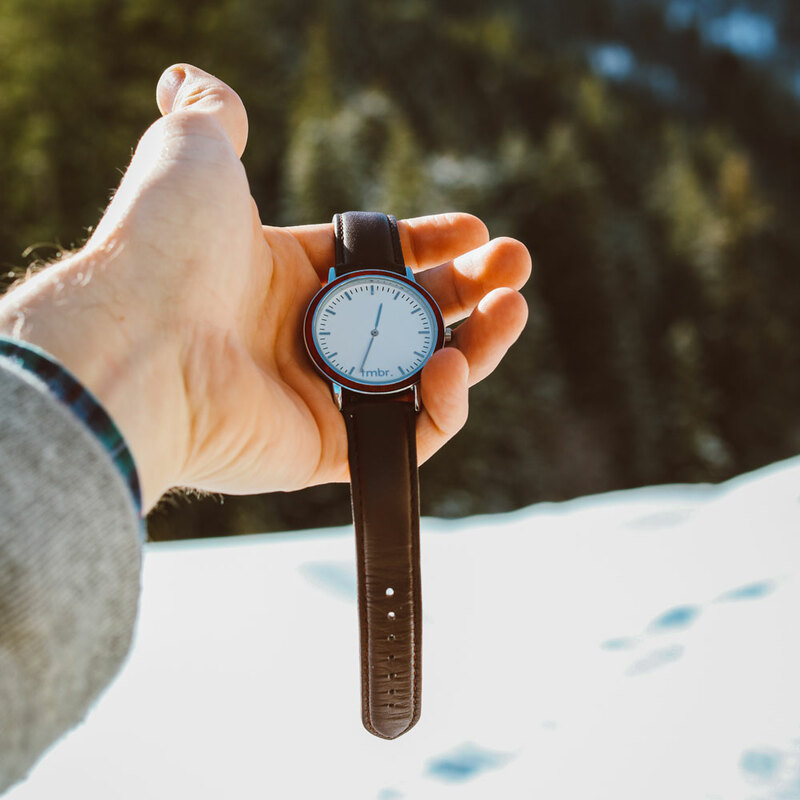 The Spruce Matte Black & Rosewood watch was designed as a daily use timepiece for male or female. The minimalist design allows for use with casual attire or can easily transition to something more refined. The concept focuses on the natural beauty contained within the grain of the wood bezel. 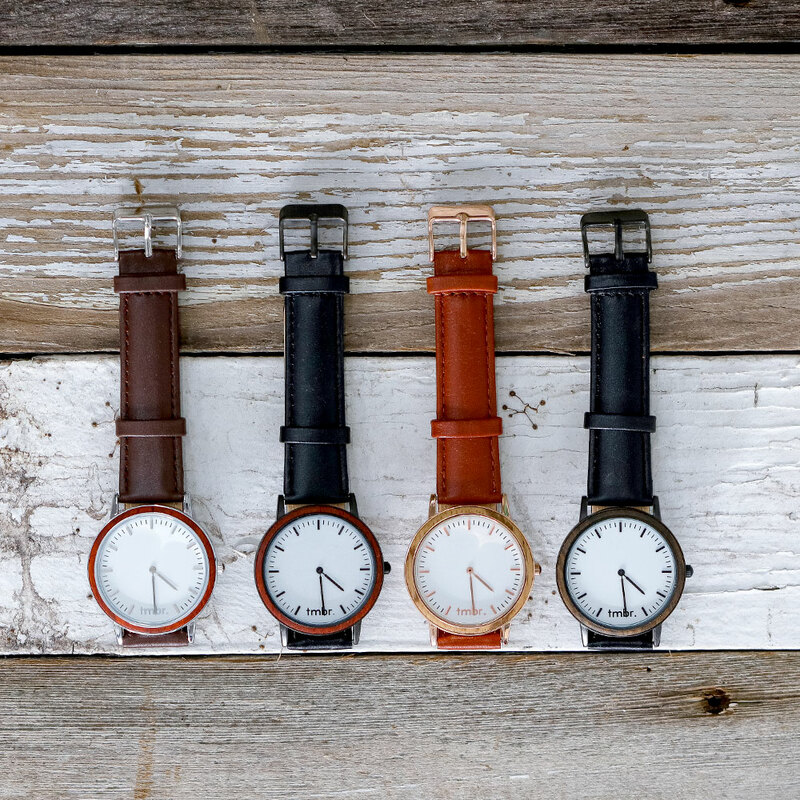 Perfect fit for a wide range of wrist sizes. It is always good to measure your wrist circumference first or email us at Hello@tmbrs.com with any questions. 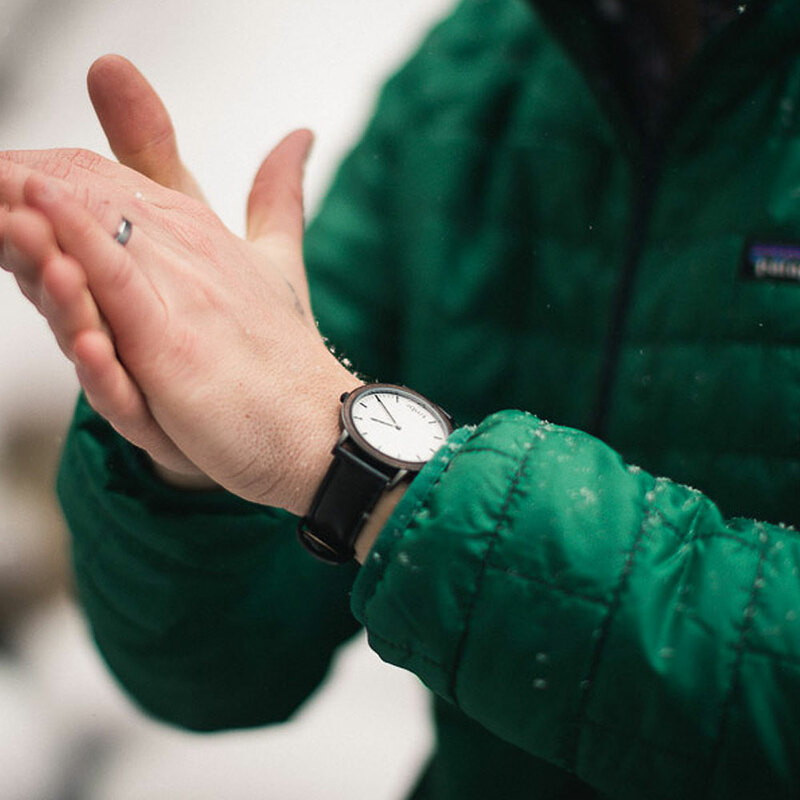 The Spruce wood watch was designed as a daily use timepiece for male or female. The minimalist design allows for use with casual attire or can easily transition to something more refined. The concept focuses on the natural beauty contained within the grain of the wood bezel.